Indira Gandhi National Open University, New Delhi has released a job opportunity on various posts for the aspirants who are willing to work in IGNOU. Therefore, all the eligible candidates who wanted to apply for the posts of Graphic Designer, Cameraman, other vacancies can visit the official website to apply for it. 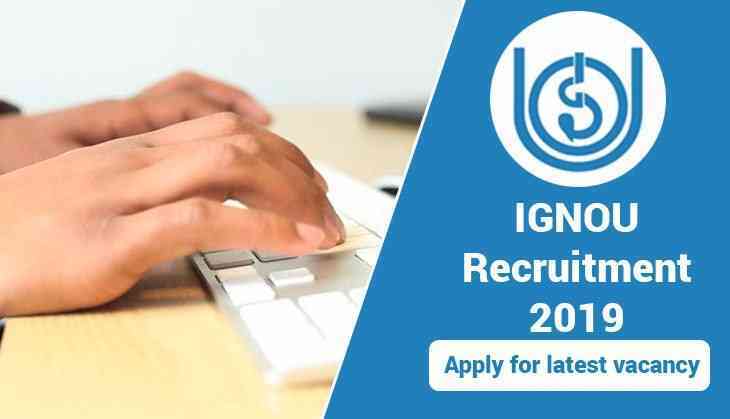 Before submitting your application form, it is necessary to know the detailed information, which is available only at the official website of IGNOU at ignouonline.ac.in. Candidates who will be selected for the positions will get a salary up to Rs 50,000 per month. There is a total of 34 posts. To apply for the posts, candidates should have a Bachelor’s degree with relevant experience as per asked by IGNOU. The maximum age limit to apply for the posts is 32 years. While age relaxation will be given to candidates as per government norms. Note: To know more details about the posts, candidates should check the official website of IGNOU available at ignouonline.ac.in.